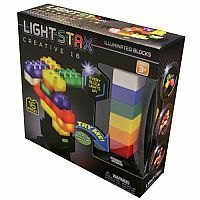 Light up your building experience with the Light Stax Creative 16 illuminated building set. 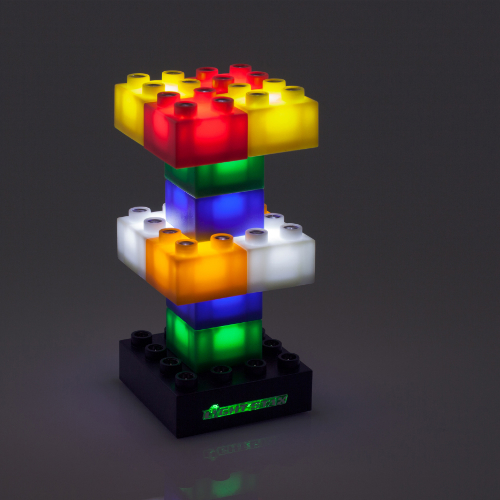 These unique building blocks glow brilliantly with colorful light as you stack them, bringing your designs to life. 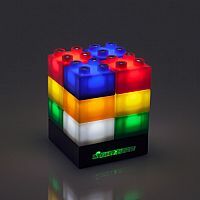 Use your imagination to build robots, towers, artisitc sculptures and more, then press the button to watch your creations pulse with LED light. Light Stax are easy to use and promote creativity through open-ended play. Three unique light settings. Set contains 16 Lights Stax Blocks, 1 USB Smart Base, and 1 USB to DC cable. 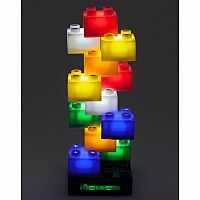 Requires 3 AAA batteries, included. 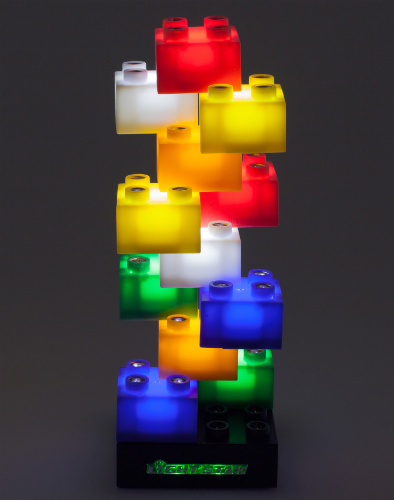 Fully compatible with other building blocks. Brand: The Lazy Dog & Co. 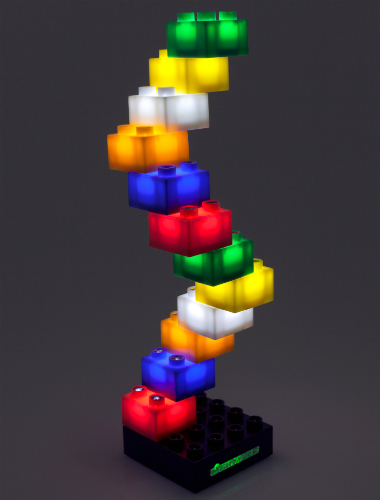 Measures approximately: 8.50 x 8.00 x 2.75 inches..